Anybody else out there get tired of 5:00 coming around and you [still] have no idea what you are cooking for dinner that night? This has happened in my family on more occasions than I like to admit and breakfast for dinner is our usual fall back. I’m getting tired of breakfast..
I’ve also noticed that like other people, I use the same 7-10 recipes over and over. Even with cookbooks and a recipe file I still probably only use 15 of those compiled recipes. Why not have a group of recipes that your family LOVES instead of such monotony?? To help remedy this problem I am going to give 30 day meal planning a try. I know lots of you out there are trying this method..What does or doesn’t work?? Let’s make this a journey we can all take together and learn to establish this routine as we go. 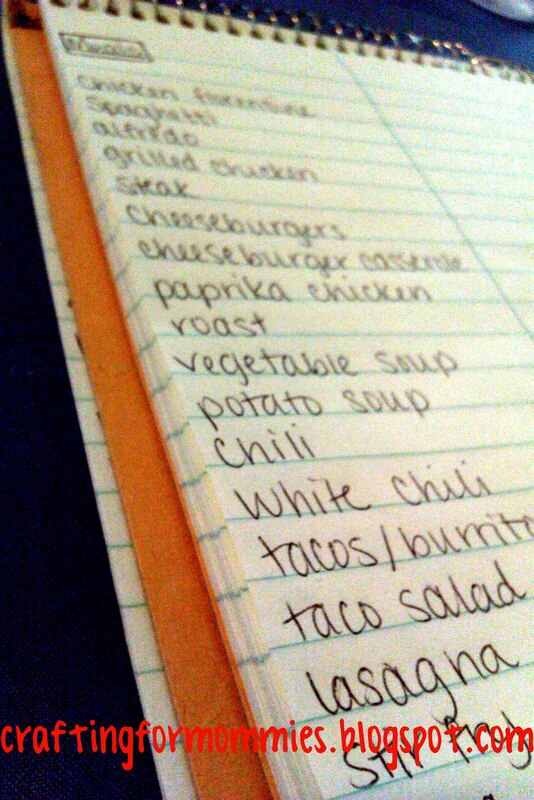 The first thing I’m going to do is to make a list of all the foods my family likes to eat. I’m also going to put to test any recipes I come by and see if they make the grade. After trying each new one, we will decide if we want to add it to our recipes or toss it and move on to the next one. We’ll see how it goes. Are we the only ones bored out of our minds on our eating habits that are trying this to add some variety?? I made this simple wall art to hang in my little lady’s new bedroom. 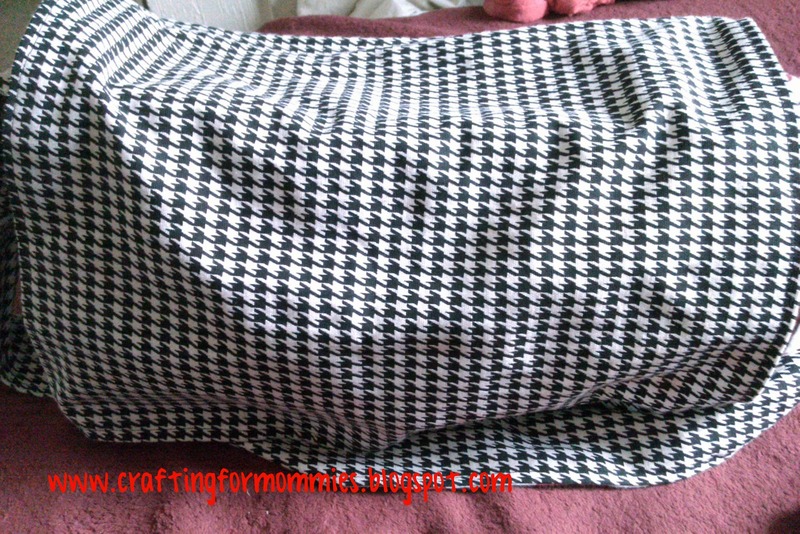 One fabric I’m using in her quilt is red with white polka dots and we are doing black accenting. I painted a white canvas 8 in x 20 in with two coats of red paint. I then used a compass to lightly trace circles onto the red background using a pencil. With a white paint marker, I filled in the circles and ended up going over them about 3 times to really make them bright. 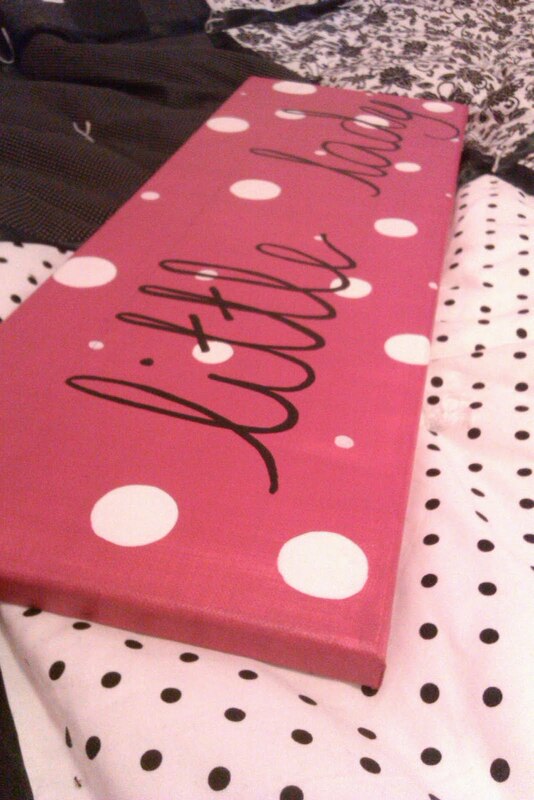 I then just free handed the “little lady” using a black paint marker. I also had a few small wooden ladybugs I painted and affixed to the canvas. I’m also thinking about attaching black ribbon to each top corner and tying a bow to hang it with..What do you think? 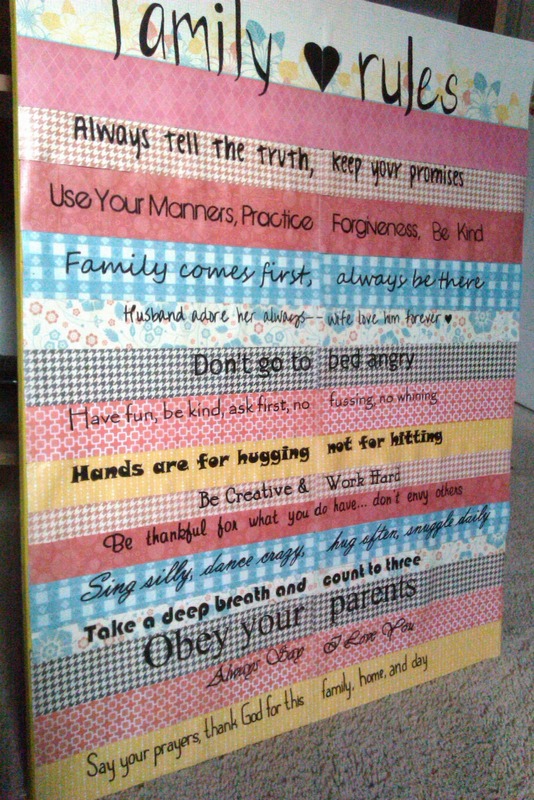 These super easy Family Rules canvases are all the rage right now so of course I had to make one for myself. 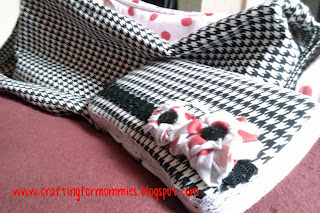 I saw Lindsey this project a while back on The Pleated Poppy and I immediately put it on my list of projects to do in 2011. Get canvas. I got mine for half off at a local craft store. I think it’s a 24″ x 30″. Paint the edges around the canvas. They will show but you don’t have to worry about them being perfect. I then typed and printed my rules directly onto the scrapbooking paper. Cut to desired height and after lining them the way you like, you will mod podge them onto your canvas. I knew I had too many rules to fit without layering so I started at the bottom and layered them all the way to the top. 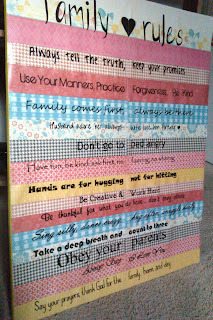 I then had room at the top to put a little “Family Rules” title. Once it is completely dry I used a paint marker pen to go over the rules so they would be easily read. 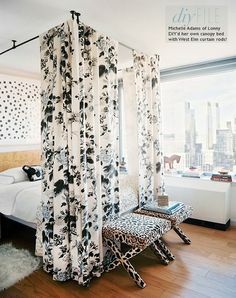 Mod podge over the entire canvas and let dry. 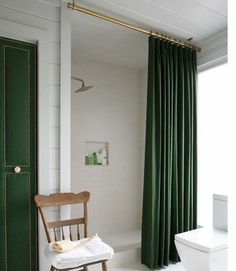 If you want to make sure it’s really sealed you can do another coat of mod podge for good measure.. I seriously fell in love when I saw what Ashley over at Make It & Love It was cooking up with her genius. How annoying is it to go shopping and still have to carry your bags because your diaper bag is occupying the lower basket of your stroller?? Or how about trying to hang all the bags on your stroller handles? Not to mention when they hit your legs as you walk and potentially crash into the back of your stroller waking up your little one? I think you get the point. Either way, this bag is perfect! This is my bag I made using Ashley’s tutorial. I also added a side pocket on the outside for easy bottle storage and access. To recover wipes case I hot glued felt onto the top to cover the smaller opening. 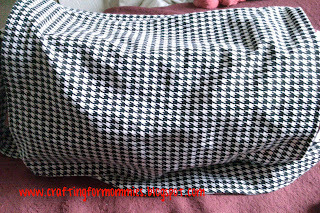 I then cut my fabric to cover to and bottom and to hang about halfway on the sides. Hot glue adorable trim around edges to give a finishing touch. To make the flowers I simply used a knit fabric and used a loose basting stitch down the middle for the entire length of the strip. Gather by pulling top thread. I then arranged them nicely into circles/flowery shapes and hot glued it down like crazy. Glue a coordinating button on top. 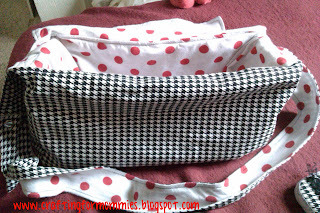 Follow this link for complete bag tutorial.